An easy one to start with. You have an annual limit on how much you can pay into your ISA. That resets at the end of the tax year. So use it, or lose it! In the 2018/19 tax year, the maximum you can save in an ISA is £20,000. This can be saved in cash, invested in stocks and shares, or even invested in peer-to-peer lending via an innovative finance ISA. Depending on your circumstances, a lifetime ISA might also be available to you. If you currently only have a cash ISA and are about to pay some spare cash into it before the end of the tax year, hang on a moment. A stocks and shares ISA may be a better option. With interest rates still low (albeit potentially on the rise), stocks and shares ISAs may give you a better return over the long term. Is your estate likely to be hit by inheritance tax (IHT) when you die? If you can afford to, give some money away to loved ones now to reduce your IHT liability. The current IHT threshold is £325,000 per person. Tax is charged at a 40% on anything above that. To avoid your estate being diminished by that hefty tax rate, you can give away £3,000 worth of gifts a year without being liable to IHT. 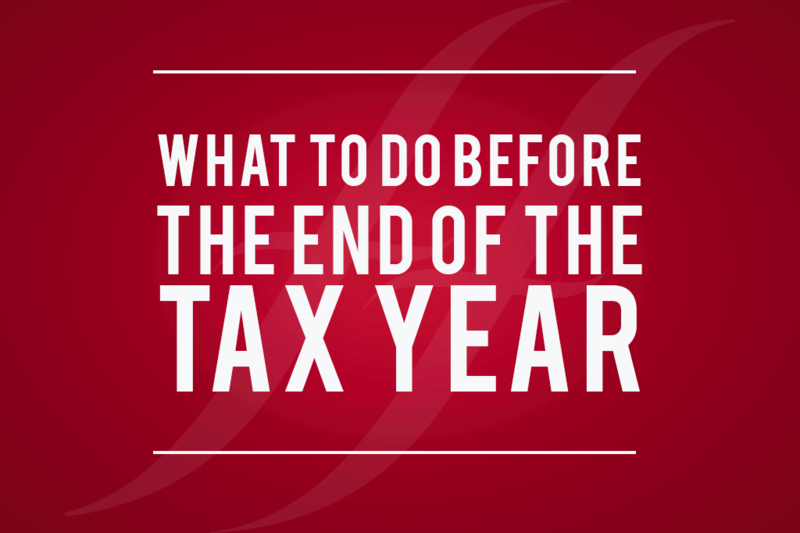 You can carry this over from one tax year to the next, but the maximum exemption in any one year is £6,000. You can also give gifts of up to £250 each to as many people as you like. Capital gains tax (CGT) is generally payable on profits made when you sell an asset. This includes shares not held in an ISA, property other than your main home and personal possessions worth over £6,000. The annual capital gains tax allowance enables you to make £11,700 (2018/19 tax year) of gains per year before you pay tax. It therefore pays to plan carefully. If, for example, you plan to dispose of shares worth £20,000, sell them in two batches – one either side of the end of the tax year. If you’re married or in a civil partnership, you can share out ownership of joint assets to make use of both of your individual allowances. You can get tax relief on pension contributions of up to £40,000 per year (if you earn over £150,000 per year, this annual allowance is reduced). If you’ve not reached your annual allowance and have spare cash that you won’t need until you’re 55, stash some more away now! Because of their tax efficient status, it may even be worth considering diverting some other savings into your pension to make the most of your annual allowance. If you’ve been thinking about making a sizeable donation to charity, it could be good to do it before the tax year end. Charitable donations are tax-free so this can reduce your income tax bill. And make you feel good! Not specifically related to year end, but it’s a good time to do it anyway. If you review your investments, gifts and charitable donations, it may affect how you wish your estate to be distributed on your death. If you’re a parent, you can put up to £4,260 each year into a junior ISA for each of your children under the age of 18. If you, or your partner, are close to the £50,000 net income threshold, you risk losing some, or all, of your child benefit. If you’re close to this threshold, it may pay to reduce your net income slightly to prevent your child benefit being affected. You could pay more into your workplace pension scheme, for example. Or you could give some money to charity.